Have you been using services on sites like ColorPrint to perform your color changes? Have you ever experienced the service not working when you needed it the most? Well look no further! You can do this directly in Slic3r PE with relative ease, and in this post I'm gonna take you through the process step by step. At least two different colored filaments, preferrably of the same type. Locate the tab printer settings and create a duplicate of your favorite printer settings by choosing it and then clicking the floppy disc icon. Name it accordingly. And don't worry, this won't engage your floppy drive. 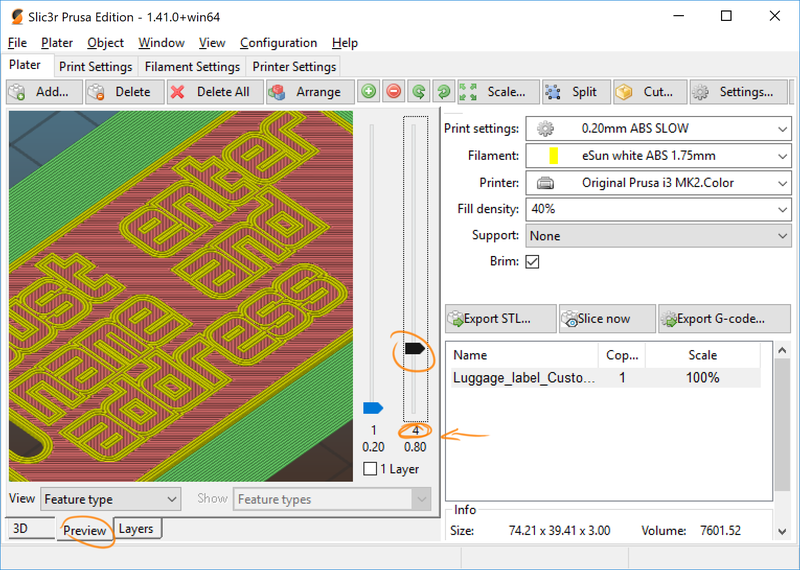 Locate the the section labelled Custom G-code in the tab for printer settings. Choose your file to be sliced, choose your settings and slice it. Click the preview tab in the main window and use the slider to the right to identify the layer number where you want the color change to happen. Note that it will happen AFTER the layer which you are viewing has printed. 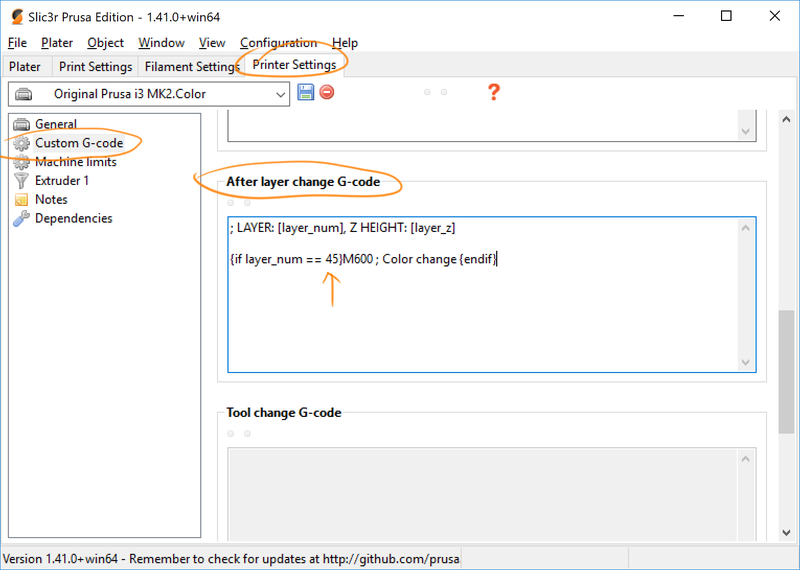 Once you have chosen your layer, go ahead and find your way back to that code part which you pasted in the section for After layer change G-code. Change the number 45 (65, 85) to your desired layer number. In the case pictured above, I would have gone for a color change after layer number 3 had printed, so I would input 3 as my layer for color change. If this worked for you, feel free to share this link to anyone you think might benefit from it. Please become a member and join us over at Prusa Community Forum on Facebook and discuss printers and fun stuff with us. OK, so what happens when the colour-change layer is printed? Does the extruder pause and wait for a filament change? You haven’t really explained what to do! 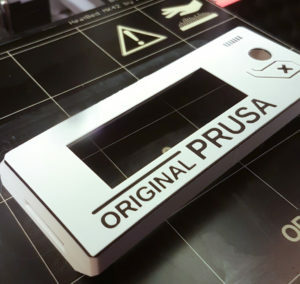 You’re right, I didn’t explain what to do and that’s because of 1) an original prusa guides you through it and 2) it might look different on other marlin printers and I wanted this guide to be somewhat universal. Is there a similar way to do this with the MMU2 and Slic3r in MMU single mode? instead of the one in the article in the after layer change g-code. That probably works fine. Not sure if it’s gonna work with supports though. Have you tested it?